One of the many interesting features of the indigenous scripts of sub-Saharan Africa is how many of their authors have created letter-symbols based on designs found in artwork, decorations, features of the landscape or even, in the case of Zaghawa, camel brands. 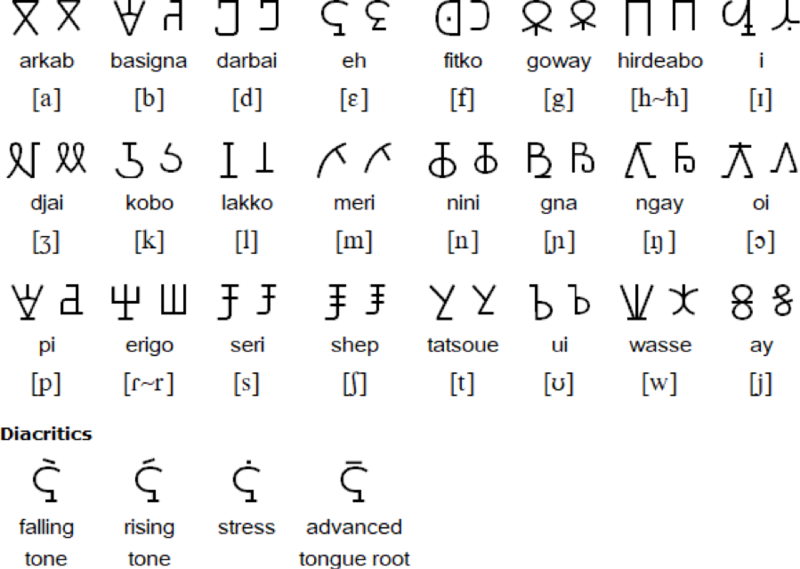 In the 1950s, a Sudanese Zaghawa schoolteacher named Adam Tajir created an alphabet for the Zaghawa language (spoken by perhaps a million people in eastern central Chad, and in Darfur in the northwest of Sudan), whose characters were derived from the clan brands used for camels and other livestock. Its name is Beria, or sometimes the Beria Branding Script. 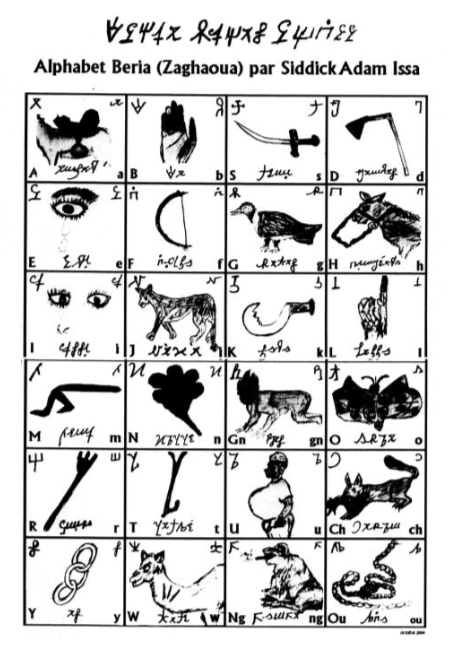 Not surprisingly, Beria has the two ideal qualities of indigenous alphabets: it looks like nobody else’s script, and it gives hints of its own origins. Handwritten scripts tend to show the lateral flow of the hand, the turn of the wrist; Beria, however–crisp, uniform, slightly industrial, almost geometrical–looks like a series of symbols to be stamped rather than written. This script, though innovative and indigenous in the best sense, turned out not to be ideal for representing the sounds of the Zaghawa language as it was based on the Arabic script. Under the circumstances, perhaps it’s not surprising that the person who remedied the shortcomings of the script was a vet. 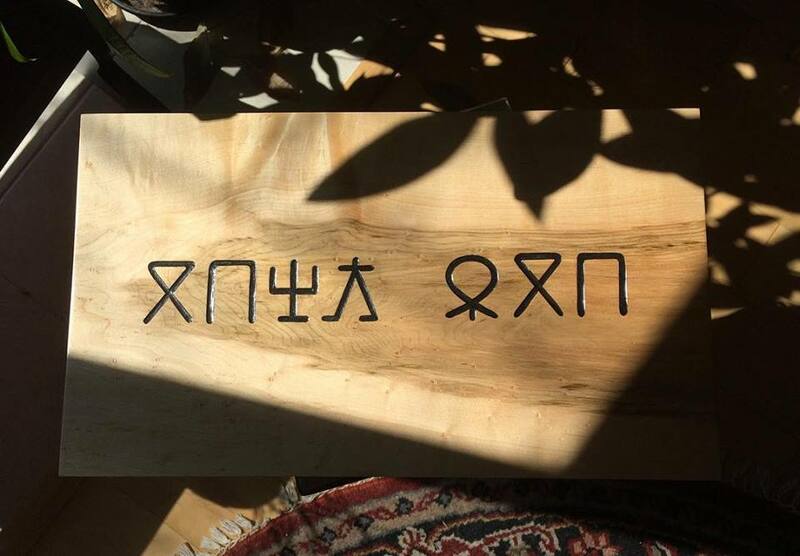 In 2000, a Zaghawa veterinarian named Siddick Adam Issa created a modified version of the Beria script, which he called Beria Giray Erfe (“Writing Marks”). Issa’s version featured a curious and unusual inversion: uppercase letters have descenders which drop below the baseline of the lowercase letters and punctuation, unlike the capital letters which rise above most lower-case letters in the Latin alphabet. In 2012 supporters of the script created a YouTube channel for reading and writing lessons in Beria. Breaking news: as this page is added to the Atlas, AlSadig Sadig, a native of Darfur, became possibly the first person to try to digitize an emerging script by crowdfunding. His campaign, which runs through March 30th, 2019, can be found at https://beria-keyboard.causevox.com/. 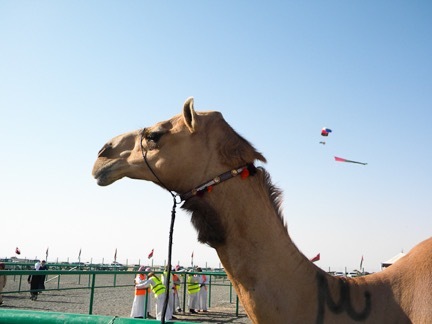 The Beria-English Dictionary, though it does not use the Beria script, is full of culturally rich translations, such as dabara: a blister, especially on a camel’s back after a long day racing; dabo: the season between November and January, when the herds are dispersed toward pastures toward the northeast, the grain is beaten and stored, and the markets are more intensely frequented; and dabûrû: a camel that has not given birth. "Save our language" in Zaghawa using the Beria script. Carving and photo by Tim Brookes.